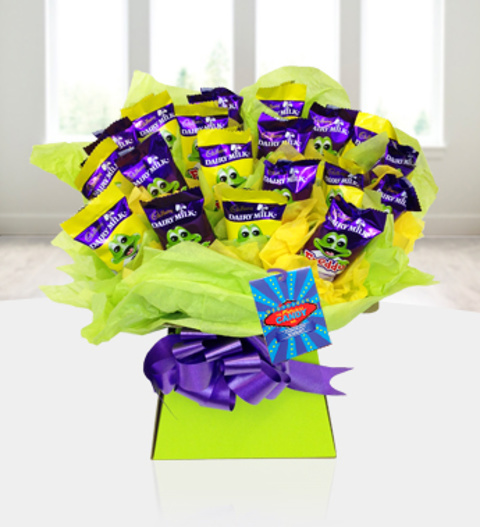 Everyone loves a Freddo chocolate bar, and here we have a whole bouquet of them! An unusual gift that is sure to impress your lucky recipient! It&apos;s perfect for birthdays, anniversaries and as a thank you gift. The bouquet is beautifully presented in a stylish holder with complimenting ribbon. The Freddo Chocolate Bouquet is available for UK next day delivery.